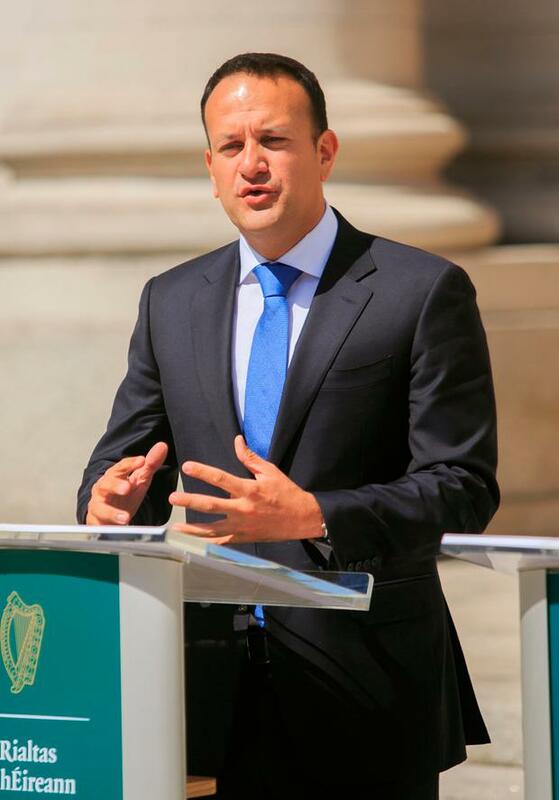 The Taoiseach has told EU leaders that preparations are being made at Irish ports and airports for a no-deal Brexit, amid a growing consensus that London is unwilling to move further on Brexit talks. A senior EU source in Brussels confirmed to the Irish Independent that EU leaders had been made aware that "preparations at Irish ports and airports are being made" due to the increasing likelihood that the UK is about to crash out of the EU. It comes as there is an increasing acceptance among officials and EU leaders in Brussels that Britain is willing to leave the EU without a deal with its most lucrative trading partners. "It would be suicidal for the Irish not to prepare for plan B," said the source. Plan B is a situation where the UK and EU fail to agree a future together involving a comprehensive relationship similar to the current arrangements, where the UK would abide by EU regulations and is part of the customs union. EU sources said Dublin needed to begin its preparations at ports and airports should Britain renege on its commitment to ensure a no-Border scenario remains on the island of Ireland. Last week, Taoiseach Leo Varadkar also said there was a possibility that the backstop - which guarantees a frictionless Border on the island of Ireland in the event that a better scenario can't be worked out - "won't happen". "We'll be stepping up our preparations for all possible situations, and that does include a 'no-deal' scenario. All countries will be preparing for that," he said. Meanwhile, EU Commissioner Phil Hogan said "all sectors need to prepare for customs checks on behalf of the European Union". He said the Irish State would be obliged to collect tariffs on behalf on the EU for goods coming inside and outside a member state from a non-EU state. A deeply pessimistic mood about a looming cliff-edge is palpable in Brussels given that this week's summit was once billed as a crucial deadline in which the UK was expected to have agreed plans for its interpretation of the backstop. Furthermore, EU sources say they are not convinced that the UK's white paper on its future relationship with the EU will be acceptable to Brussels. "Britain still thinks it can cherry-pick parts of the single market without obeying its rules - that won't work. They are still arguing with themselves over what Brexit means," said one source. However, they pointed out that "Brexit is a stone in our shoe" compared with what it will do to the UK's own economy. "You will have Japanese auto manufacturers and others leave Britain within weeks if they crash out. It will be a matter of weeks, not months. The only reason they haven't left yet is because they have a transition deal," said a senior source. But they said there will be no transition deal if the Irish question is not solved, adding: "We are with the Irish 200pc." Meanwhile, Tánaiste Simon Coveney told the Dáil yesterday that the Government had hoped there would be "substantial progress" on the backstop, but that hadn't happened. He described some of the messaging on Brexit from Westminster as "chaotic". However, he said the draft conclusions for the European Council meeting were "strong" and it was expected to express concern that no substantial progress had been made on the backstop plan. He said the Irish Government would insist on the need for "intensified efforts" so a withdrawal agreement can be reached as soon as possible.